Modern Mnemotechny appears to be a paraphrased version of American Mnemotechny. I haven’t looked at them closely enough to see what the relationship between the books is. 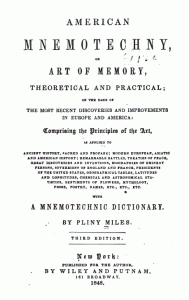 EDIT: also check out Phreno Mnemotechny [40 Mb] written by Francis Fauvel-Gouraud in the 19th century. EDIT: download some books by the “Major” of the Major System, Major Beniowski. It appears that Aimé Paris came up with the modern major system before the Major, but it is now know by the Major’s name. 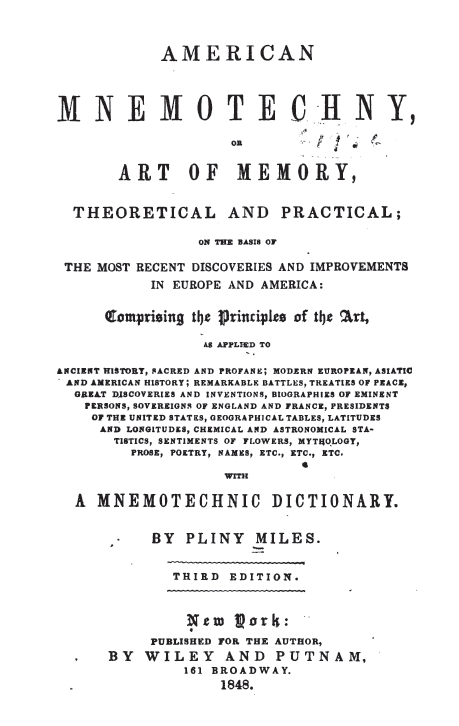 A forum member mentioned another book called The Training of the Memory in Art [PDF] by Lecoq de Boisbaudran. If you read it, leave a comment below and let us know what you think! thanks men for sharing this im also studying those memory techniques thanks again ! I read a part of the first one, “Memoria Technica”. Interesting stuff. Using a self-made phonetic system, the author combines the first syllable(s) of the thing he wants to remember a number for, with the syllables that represent the number. For example, according to him, King Cyrus founded his monarchy in 536 B.C., so he remembers Cyr-uts, in which uts represents 536. No images, just phonetics. That’s basically the Introduction. The rest of the book consists of examples of “Memory Lines” (sentences consisting of the aforementioned syllables) to remember the things mentioned in the title of the book. Thanks for sharing. I just found out that the book by Grey has been ‘reviewed’ in “The new art of memory”, page 45 (http://www.archive.org/stream/newartofmemoryfo00fein#page/44/mode/2up). Thanks for collecting these, they are a very interesting look at 18th and 19th century mnemonics. From a skimming, the technique in Memoria Technica of memorizing thousands of nonsense words with no other assistance seems impractical, although probably better than nothing. 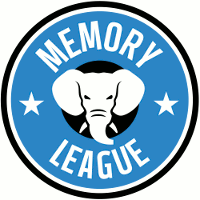 The relation between Modern Mnemotechny and American Mnemotechny seems to be the same as the relation between lots of memory books as they are published today, namely: relating the exact same techniques in a new book as in an old one, after a sufficiently polite length of time has passed. Also check out Phreno Mnemotechny by Fauvel Gouraud if you haven’t seen it. I’ve only skimmed it, but it’s the earliest version of the modern Major System that I’ve found. Apparently the book was highly popular at the time. Nice, thanks! Love these old books. Did you read the … “Ante-Praedictum” in that last one? The author does not come off well at all. Which page is it on? Several new books have been added to the post, including a version of the modern major system from 1825 — the oldest mention so far. Thank you for collecting these great references. At this moment I am actively searching for techniques to help with language memorization, specifically Spanish (from English). Do any of you Masters have a direction to point me? Yesterday I memorized pi to 100 digits and I’m still in a memorization high! You can click the links in the article to view the PDFs. You should then see a download link somewhere, if the download doesn’t already start.